What is a “kissing bridge”? – Idiot’s Questions? What is a “kissing bridge”? Kissing bridges are covered bridges with roofs and wooden sides. They are called kissing bridges because people inside the bridge cannot be seen from the outside, making them good places to kiss discreetly. They were first built in the nineteenth century by engineers who designed coverings to protect the structures from the effects of the weather. 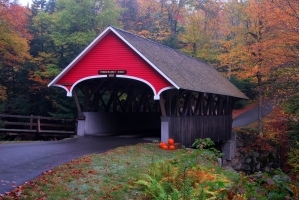 More than 10,000 covered bridges were built across the United States between 1805 and the early twentieth century. As of January 1980, only 893 of these covered bridges remained—231 in Pennsylvania alone, where the first one was erected. Previous Previous post: What are lasers? Next Next post: Is there a place on Earth where the Sun does not rise?